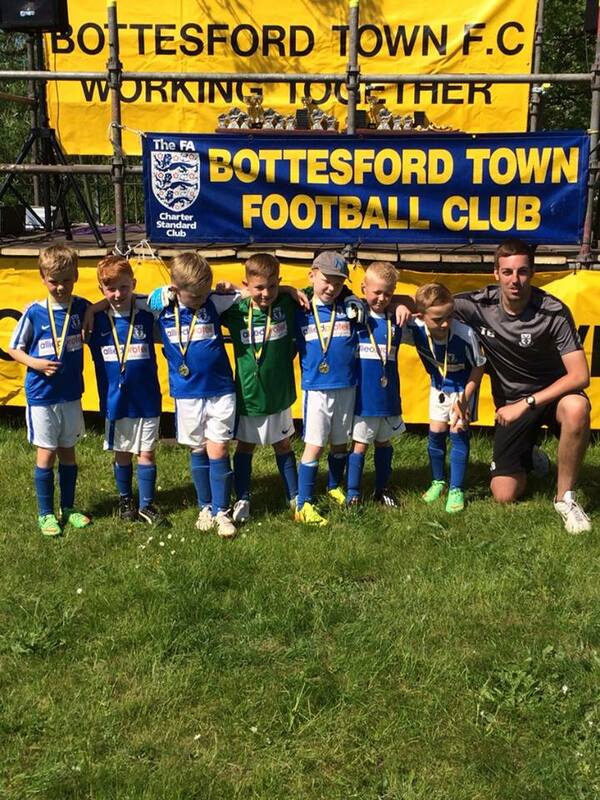 Waltham FC sent an under 7s team made up of a mixture of Waltham Lions and Waltham Millers players for the 2014 Bottesford Town Tournament. At the u7 age group, it is still uncompetitive so the boys got to play 8-minute matches against all the other nine teams at our age group to take part. Throughout the day, the Waltham team played some great football against some very good teams from well-established clubs from North Lincolnshire and from closer to home too. The short matches and the very small goals meant there was a distinct lack of goals in all of the u7 matches on the day, but it is important that this doesn’t mask the fact that we played some lovely football. The goals were, at most, half the width and half the height of the goals we are used to using. Most of the games ended goalless but this didn’t get our boys down though. Rule number one at Waltham FC is that the players have fun, and they had a great time – during the games and playing about in the sunshine in-between games. From a coaches point of view, I didn’t see any other team play any football as good as what I saw from our boys at times over the day. We faced some good individuals who had great dribbling ability and one team caused us problems by having their goalkeeper punt the ball from his goal area to ours every time he had the ball in his hands. We worked our openings well by playing some lovely passing moves across the pitch and by playing the ball our short from the goalkeeper whether it was a goal kick of rolling it out from the goalies hands. I felt that in every match we played, apart from one, we were the better team and played the game in the opposition half more than our own. I think the one game in which we were on the back foot for the most part was against Appleby Frodingham, who have a small skilful lad who is great on the ball, and a great big defender twice the size of most of our players. We had loads of chances throughout the day but only managed to put one of them away. It was a great goal though. Thomas Healey broke forward with the ball and with Rhys Racey by his side, they had a 2v1 advantage with only one defender between them and the goal. Thomas showed great decision-making in not only choosing to pass to Rhys as he was in a better position, but also in the timing of his pass. He cleverly waited until the defender came right up to him before slotting the ball to Rhys alongside him. That took the defender out of the game and Rhys was one-on-one with the goalkeeper. He took it forward at an angle and then shot into the far corner of the net for a perfectly controlled finish. Rhys played every position possible over the course of the day, including goalkeeper, and did well in each. As defender he covered well and wasn’t afraid to try a skill to turn out of trouble. And as a striker he showed the acceleration to burst forward and make a goalscoring chance for himself as he has done all year for Waltham Lions. Thomas Healey not only set up the goal for Rhys, but was an absolute menace for opposition defences all day long. He created several more chances for team-mates by setting them up when he saw they were in good positions ahead of him. He attacked with real purpose and his strong, direct running was exciting to watch. Ben Crolla gave some all-action displays like we’ve seen from him all season in the blue of the Waltham Lions. However Ben was slowed down later in the day with a niggling injury we think he initially suffered at the Keelby 5-a-side Tournament a couple of weeks ago. It was later found after a trip to the hospital that Ben has sprained his ankle and damaged the ligament. So we wish Ben well and hope he recovers in the next couple of weeks as he rests from playing football. Ben bravely carried on throughout the day before we could see something wasn’t right, so credit to Ben’s attitude in wanting to play. And as the picture below shows, he continues to improve his use of different parts of his feet. Ethan Lowe was the goalkeeper for the day and played all but 2 of the games in goal. Ethan showed some great goalkeeping technique over the day in pushing shots away from danger, holding onto them when he could, and bravely diving on the ball when it was loose in his area. He also kept his concentration in the games where the ball was at the other end of the pitch for long periods, meaning when the opposition did attack against us, he was ready. 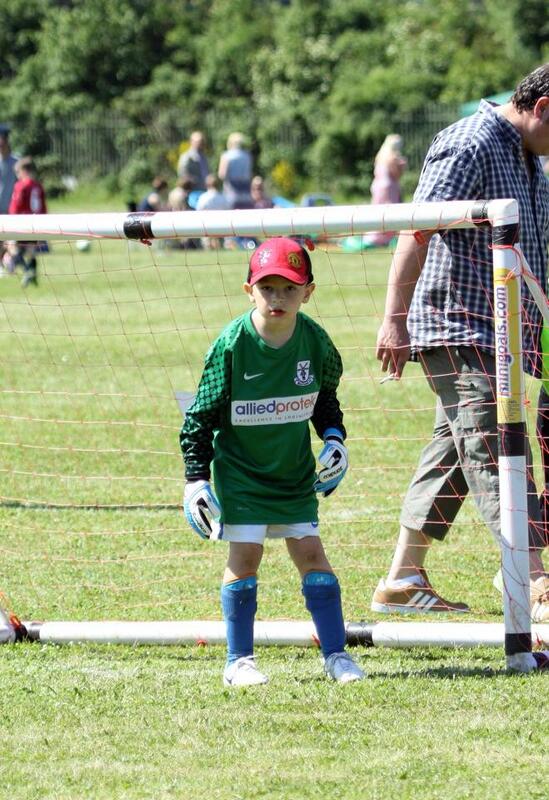 Ethan can be proud of his record of only conceding 2 goals in the 7 matches he played in goal. Ethan was often helped by Alfie Jackson, who played quite a few of the games as the defender. He played further forward too and is exciting to watch when he picks the ball up deep in our half and drives forward at pace with the ball. In defence, he was always alert to any danger, read the game better than you’d expect from a 7-year old, and showed great composure to take his time on the ball when he won it. Declan Goodfellow also played in a variety of positions and showed spatial awareness as good as anyone we saw on the u7s pitches. Dec doesn’t follow the ball and recognises when to hang back in the space and wait. His obvious talent on the ball was shown with some of the close control he showed whilst dribbling. He also played a brilliant first time pass as the ball came to him under pressure, which put one of his team-mates through on goal but we were unable to find the net again. Lucas Jex showed great determination in his runs forward with the ball as well as his usual confidence and composure in possession. Even when in defence, Lucas is calm and relaxed on the ball, often waiting for the player closing him down to make his move before he decides what to do. Lucas showed a good range of skills and hit some good shots after a few dazzling runs but unfortunately found either the side netting or opposition goalkeepers in good form. All in all, the Waltham FC boys can be proud of their performances against some very good teams. Had the games gone on for a little bit longer or the goals been of our normal size, we’re confident we would’ve got the goals and some scores to reflect our level of performance. And that is especially impressive given that this was the first time that these 7 boys had played together as one team. Some of the football had me just standing back and applauding it was so good to watch. And we did it with the boys making their own decisions on the pitch, not being “PlayStation” controlled through the game by a coach telling them when to pass, shoot, run, kick, breathe and sneeze as many other teams coaches sadly do. Thanks to Jamie Crolla for taking some great photographs too. And we look forward to taking two teams again to the Louth Town and North Somercotes 5-a-side festivals in July. The season of 2013-2014 has been a great season for Waltham Football Club. The Club expanded further with two new under 7’s teams entering the league, as well as a new under 11’s team. This gave the Club a total of 8 teams in the Gradely Sports Junior Football League. The highest yet since the club was formed in 2010 by Jimmy and Lynette Farrell. Combined, Waltham’s 8 teams scored over 480 goals across the season, so here we will look at who helped us get to that incredible figure. Below you’ll see a table of all the players at the Club to get into double-figures. But first, let’s have a quick review of some of the youngsters who had their shooting boots on this season. 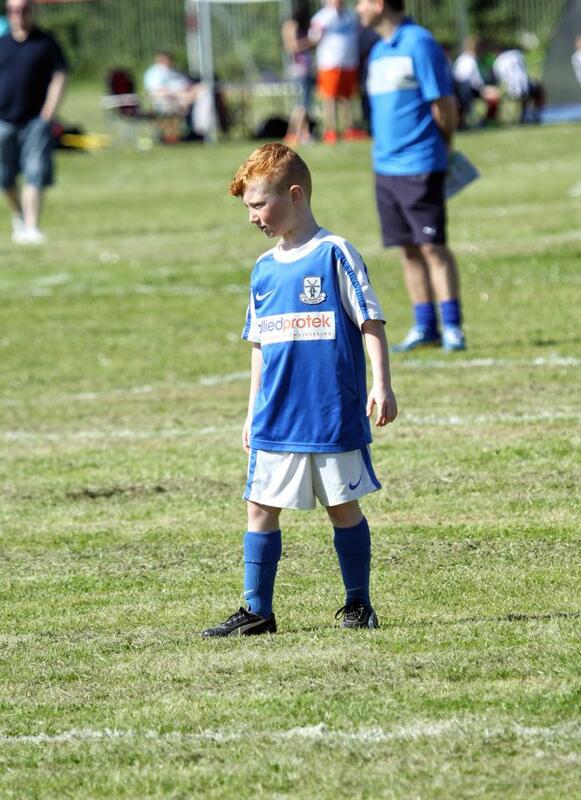 Playing for Waltham Warriors u8’s, Charlie Clements has had an unbelievable season. Lightning-quick Charlie has scored 51 goals from just 23 games, giving him a ratio of more than 2 goals per game. 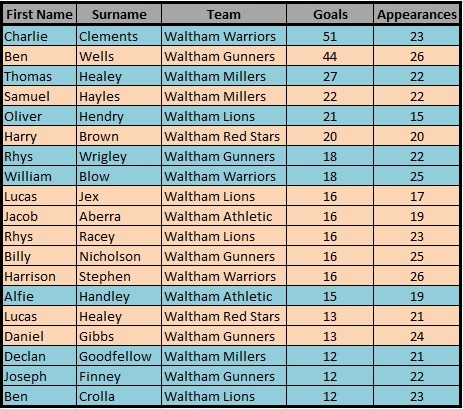 Waltham Gunners u10’s player Ben Wells has also had a fantastic year for goals. The skilful Ben has tied defenders in knots on his way to banging in 44 goals for the Gunners. 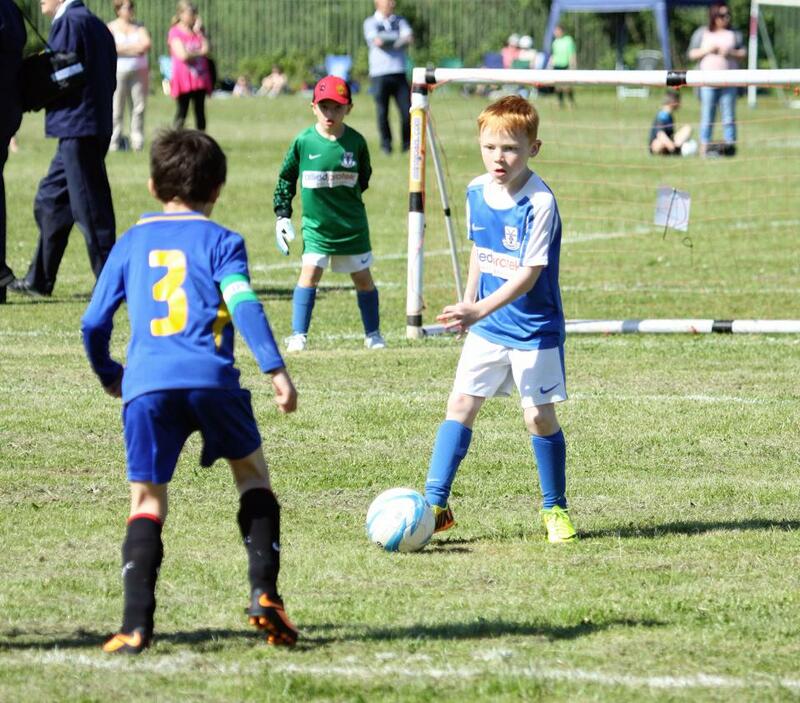 Thomas Healey has made a great start to junior football. Playing for Waltham Millers u7’s in their first season playing matches, Thomas has hit the back of the net 27 times with his rocket launcher boots (not forgetting his bullet header too). Thomas’ team-mate for the Millers, Samuel Hayles, has also enjoyed a great debut season. Samuel has linked with team-mates well and his sweet left foot has helped him get to 22 goals from as many games. The other new u7’s side, Waltham Lions, were helped by Oliver Hendry scoring 21 goals to introduce himself to the Gradely League. Two of Oliver’s goals late in the season came from his left foot, as he works hard to become a two-footed player. Harry “Hat-trick” Brown made it to 20 goals for Waltham Red Stars u9’s. This carried on Harry’s lethal form in front of goal from previous years that earned him the nickname “Hat-trick”. 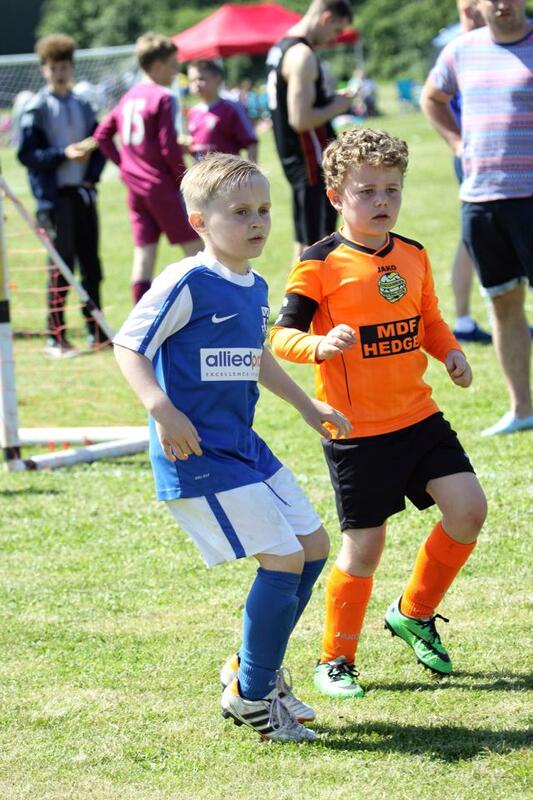 Rhys Wrigley (Waltham Gunners u10’s) and William Blow (Waltham Warriors u8’s) both reached 18 goals for the season. With Rhys helping the Gunners in a fantastic second half of the season with several important goals and William linking Warriors’ attacking play very well, both can be proud of their seasons. 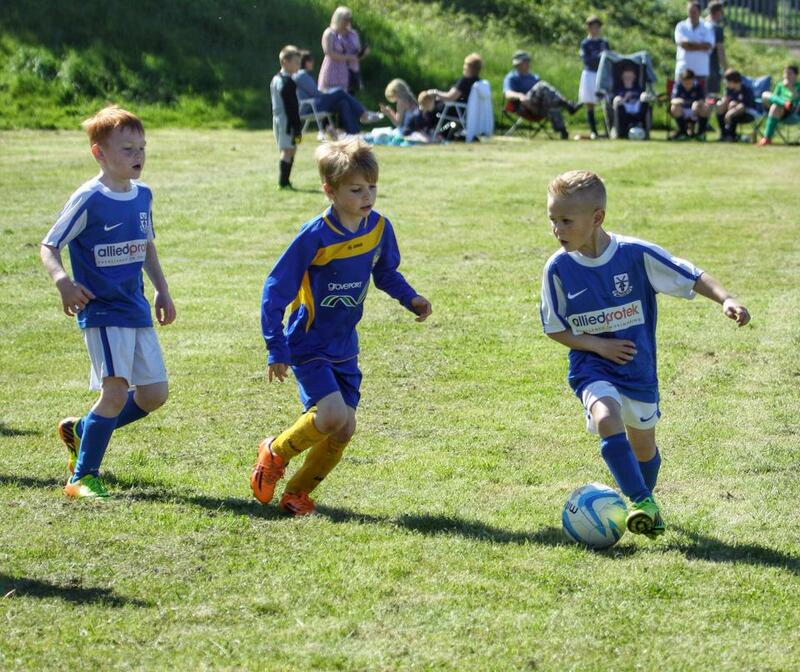 Lucas Jex hit 16 goals in 17 games for Waltham Lions u7’s. That included some belting strikes from the confident youngster, which would have been replayed time and time again on Match of the Day if scored in the Premier League. The second of five players on 16 goals is Jacob Aberra. Playing for Waltham Athletic u9’s, Jacob’s skill and silky footwork was a feature of Athletic’s play and he got his 16 goals from just 19 games. Joining Lucas and Jacob on 16 goals is Rhys Racey. Rhys excelled playing in different positions during the season, but showed he is clinical when running through one-on-one with the goalkeeper. Waltham Gunners u10’s player Billy Nicholson also finished on 16 goals. Billy was a key part of the Gunners dominance in the second half of the season, and his driving runs forward helped him get a great return of goals. Also on 16 goals for the season was Harrison Stephen of Waltham Warriors u8’s. Harrison’s creative ability and unselfish play helps create chances for his team-mates at Warriors, but he also helped himself to 16 goals too. With 15 goals for the season, is Waltham Athletic u9’s player Alfie Handley. 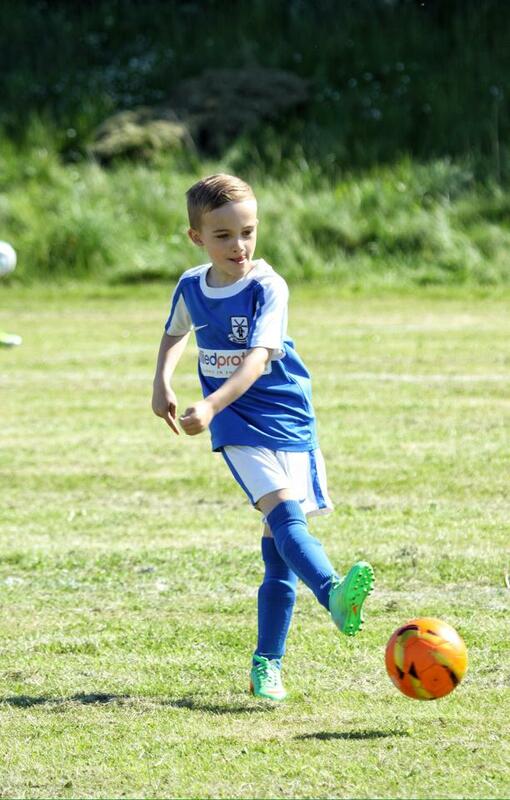 Future Grimsby Town player Alfie combined his jinking runs with the ball and lethal finishing ability to get his 15 goals from just 19 games. Lucas Healey had an impressive season for Waltham Red Stars u9’s. Lucas managed to score 13 goals for Red Stars during a season in which he often played a deeper role in the team. Also on 13 goals with Lucas is Daniel Gibbs of Waltham Gunners u10’s. The confident Daniel progressed as the season went on (as his team did) and he showed this by bagging a hat-trick in his penultimate game of the season. Three players also managed to put the ball in the onion bag 12 times this season. Declan Goodfellow showed great skills and a couple of free-kicks in reaching his dozen for Waltham Millers u7’s. Joseph Finney was another Waltham Gunners u10’s player growing in stature as the season went on. 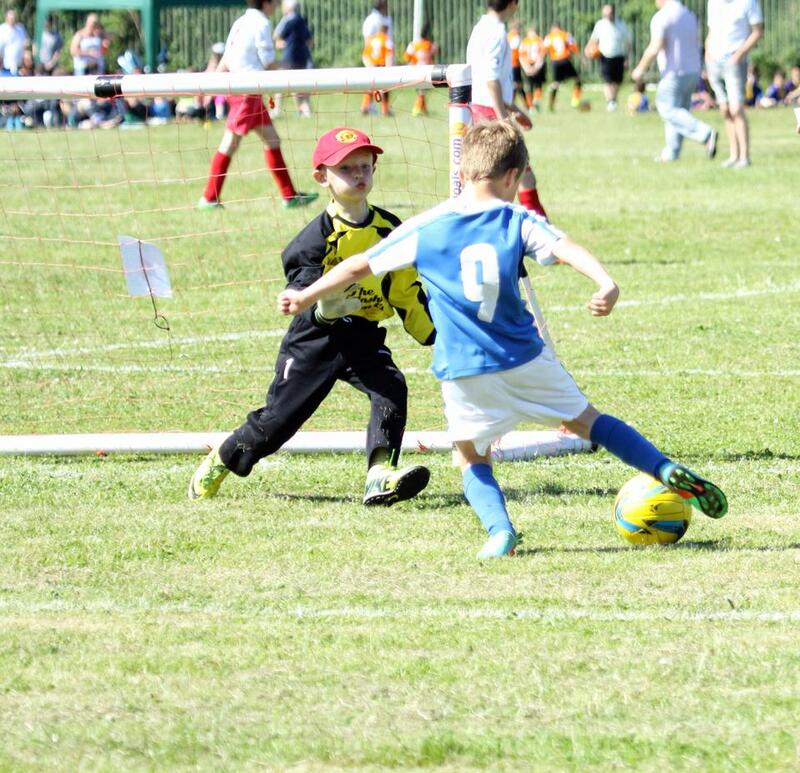 And Ben Crolla of Waltham Lions u7’s hit 12 goals including a great free-kick and some good individual runs. Drew Brumby and James Johnson both hit 7 goals for Waltham Rovers u10’s. James got the winning goal in the 1-0 over Grimsby Borough Juniors in April. And both Drew and James scored when Rovers came back from 2-0 down to draw 2-2 on the last day of the season. Charlie Temple top scored for Waltham Wolves u11’s, who enjoyed their first season in the Gradely League. Charlie is a great finisher when supplied with chances and he got 5 goals in his debut season. Tyler Jex was another player to help himself to a few goals for Wolves. The older of the Jex brothers got 3 goals for the Wolves to cap a good first season playing league football. Congratulations to all the players at Waltham FC for a great season of football. And although this article has been about celebrating the goalscorers at the club, remember it is a team game, and the players scoring the goals wouldn’t be able to score those goals if it wasn’t for the help of their team-mates. The goalkeepers and defenders are just as important as the forwards scoring the goals, as they are the ones keeping the opposition from scoring. Thanks to all the players for some great entertainment. And thanks to Jimmy and Lynette for the hard work they do behind the scenes to ensure we all have this great community club to be a part of.